We are very proud of the 1000+ reviews we have accumulated over the years. Any of these clients will be happy to share their experiences with our company on & off stage. Everything was great! The employee’s had a lot of funny and it was a big success. It was great! Guests had a lot of fun – definitely added an energy to the event that we haven’t had previously. We have had so many raving reviews about the entertainment @ Kelsey & Matt’s wedding!! Everyone thoroughly enjoyed the evening and we were beyond satisfied. Everything went well. and so many fine & fun comments. Glad we decided to do it!! We are satisfied! !Thank you for checking . . . Enjoy your weekend!! It went wonderfully on our end. Hope everything was as you needed it. Fun Pianos and the players were awesome!!! We will have them back in the next year or two for sure! They were wonderful! Everyone really enjoyed them. Even though many people were sitting at tables, we had sooo much positive feedback and compliments. Tell them thank you! We enjoyed it greatly! It was awesome. They went above and beyond our expectations. They were professional, fun, energetic, all inclusive, and overall wonderful. Fun Pianos dueling pianos in Sioux Falls SD 9/23/17: Thank you Liberty National Bank! Thank you to Liberty National Bank! 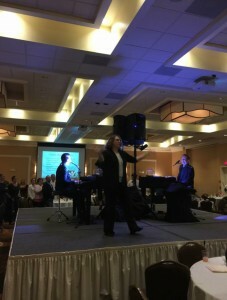 They brought Fun Pianos dueling pianos to Sioux Falls, South Dakota at the Holiday Inn…what a great group of people! 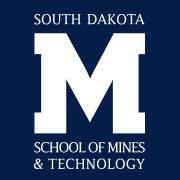 We’re happy to announce that we’ve just booked another repeat show with South Dakota School of Mines and Technology on Thu 8/18/17! 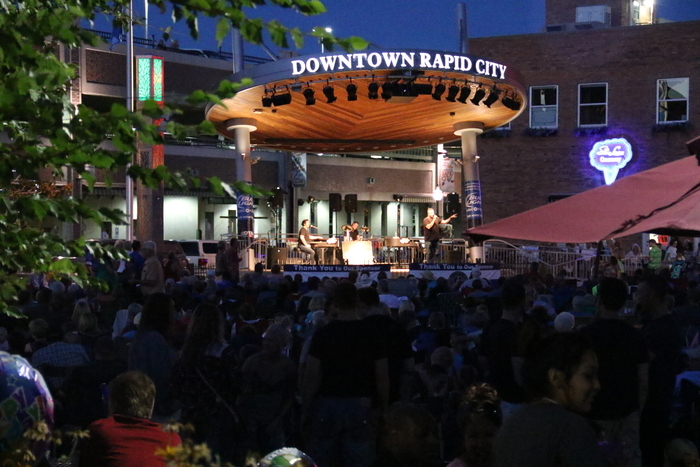 We’re looking forward to bringing the fun college entertainment back to these college students with the Fun Pianos dueling pianos in Rapid City, South Dakota! Thank you! The show was great! Everyone had a blast, and the players were very nice and easy to work with. I’m so glad I decided to go with Fun Pianos for my wedding. We had a wonderful time Saturday night. Your guys did an awesome job entertaining the crowd and getting them all involved. I’m still receiving comments today from people like “ the best party ever”. Thanks so much. Wonderful! I have heard nothing but great reviews and comments about them. Thank you! I would like to say a huge thank you. They were wonderful and very talented entertainers. Both were very easy to work with on suggestions and ideas. They engaged our staff immediately and kept them engaged for the entire show, even with a Packers playoff game going full force. I heard many, many comments the following Monday to just how much fun everyone had. Thanks again. We look forward to booking with your company again in the future! The guys did a great job! Our crowd is a mixture of young and old and we have compliments from all. We were very happy! Yes, that is correct to charge the card for the extra time. Thanks for everything! The show went great and the guys were awesome. Everyone that attended really said that the had a fantastic time! I even think the were better than last year and last year was great. It was AWESOME Amy!! It was a great night…everyone enjoyed the performance and the weather was beautiful. We had a nice mix of locals and tourists in our audience. I just want you to know Amy, that the entertainers your company sent to us were absolutely outstanding! They got our crowd involved, everyone was very interactive and they were just amazing entertainers!! Thank you so much!!! You have been wonderful to work with and don’t be surprised if you hear from our organization again!!! It went really well – everyone loved the entertainment! The guys we had were great! After a successful showing last year setting up on home plate (yes…ON home plate), Fun Pianos! 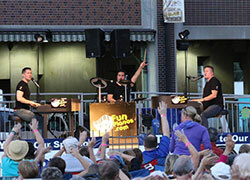 by 176 Keys dueling pianos show returns for another fundraiser on September 20. It is the first of two September Sioux Falls shows, where the popularity of our dueling pianos continues to grow, including 7 December holiday parties, plus several more South Dakota & North Dakota events through March. More information can be found on this Facebook page. It was unbelievable again! In all my wildest dreams, I never would have imagined the success we have with Fun Pianos Dueling Pianos. All of our students, I mean every single one, was out of their seats dancing, singing, and having a wonderful time. Truly, it was unbelievable! Thank you! It was great! We definitely plan to use you guys again next year! Next time we will pay for longer hours! It was a blast! Prior to the 176 Keys Fun Piano show we have had DJ’s playing music, or we have done casino night – gambling, we had a rock band one year, too loud, magic show once, never again. These guys put on a good show and kept the crowd involved and entertained. Lots of group participation, the comments I have heard is that this is the best Holiday party so far, people that sat up front had a blast, the people that didn’t sit up front just wanted to see others look foolish. People thought it was funny watching the Bank President and CEO ride horses around the crowd and having the staff slap them on the back side. The President/CEO didn’t mind. Lots of fun, we may have to do it again. From the first note to the last, there was never a dull moment. The crowd was engaged and energized for the entire event. Our entire crowd managed to make it up on the stage before the night was over, and everyone participated in the show. We have had many requests for another show next year. 176 Keys has played at our event center a couple times. They were very entertaining and really got the crowd involved. We got great reviews from guests on their performance! The show went very well, thank you. I think everybody had a GREAT time. We’re already planning for next year, we may just be doing it again in 2013! First off let me thank you for the pleasurable time it was working with you to help coordinate our 2012 Christmas party. I could not imagine having things run any smoother. Next, WOW! Is all I can say. The players were amazing. You have no idea how many kudos and excellent compliments that we have received. It was truly a high energy show, with not a dull moment to be had. I can’t praise you guys enough. I hope the guys had as good as time that we did. They definitely brought their A game to the show last Friday night. I will definitely be spreading the word and recommending the 176 Keys to anyone looking for a great time!! It was awesome. I had lots of great comments from our customers, the owner, and my direct boss. They are already talking about doing the same thing next year. We probably had 230 people there, are tent was setup for 260. Last year we had 180 or so. I would expect it to grow going forward. I hope the guys enjoyed it as well. We ended up with plenty of kids there as we started earlier than I expected. Your guys even had the kids up front for one song. That was nice to include them in on the fun. I want to thank you guys for the job well done. The feedback we got was that this was the best x-mas party so far and everyone had a blast! It was an awesome show and I hope we can do business again with you guys. We love talking about our show and our work...drop us a line! 4/28/19, Saline, MI: PRIVATE Dueling Pianos with Fun Pianos! 5/1/19, Napa, CA: PRIVATE Dueling Pianos with Fun Pianos! 5/3/19, Detroit, MI: PRIVATE Dueling Pianos with Fun Pianos! 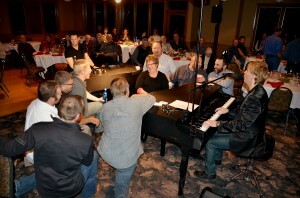 5/4/19, Bloomington, IL: PRIVATE Dueling Pianos with Fun Pianos! 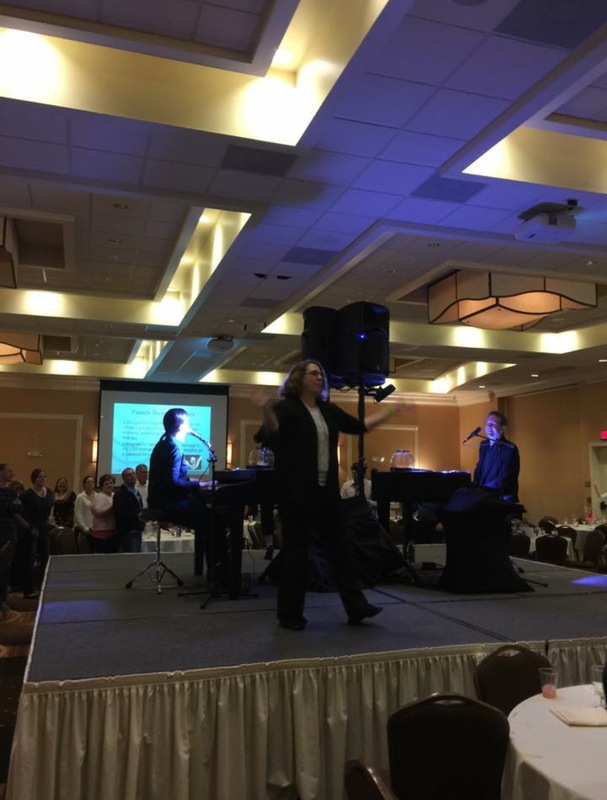 5/5/19, Manalapan, FL: PRIVATE Dueling Pianos with Fun Pianos! 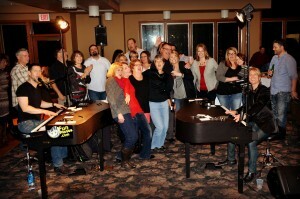 5/8/19, Council Bluffs, IA: PRIVATE Dueling Pianos with Fun Pianos! 5/11/19, Longview, TX: PRIVATE Dueling Pianos with Fun Pianos! 5/18/19, Omaha, NE: PRIVATE Dueling Pianos with Fun Pianos! 5/29/19, Fargo, ND : PRIVATE Dueling Pianos with Fun Pianos! 5/30/19, Cheyenne, WY: PRIVATE Dueling Pianos with Fun Pianos! 5/30/19, Wichita, KS: PRIVATE Dueling Pianos with Fun Pianos! 6/8/19, Milan, TN : PRIVATE Dueling Pianos with Fun Pianos! 6/12/19, York, NE : PRIVATE Dueling Pianos with Fun Pianos! 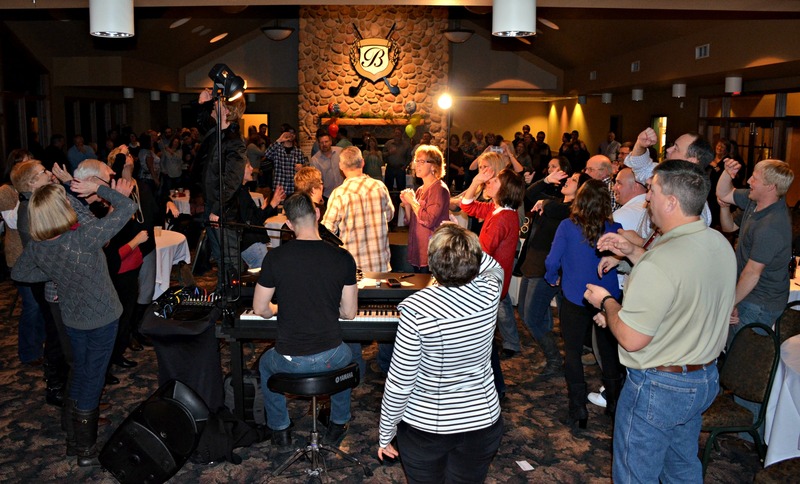 6/22/19, St. Michael, MN : PRIVATE Dueling Pianos with Fun Pianos! 9/6/19, Dubuque, IA: PRIVATE Dueling Pianos with Fun Pianos!